As the leading energy efficiency service company in the Northeast, Mechanical Services, Inc., has over 50 years of design, installation and maintenance experience in bringing natural gas to commercial clients. 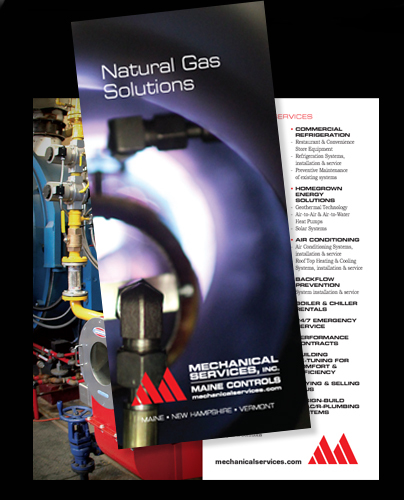 We helped MSS tell its story by engineering a full-color brochure that captures the technology, technicians and many services MSS provides as the Northeast’s natural gas leader. The brochure provides a complete look at the company, its resources and solutions to help inform natural gas clients about the benefits of natural gas and guide them in their energy efficiency decisions.